Howdy. I just realized that it is very nearly my one year birthday! Well, my blog birthday. 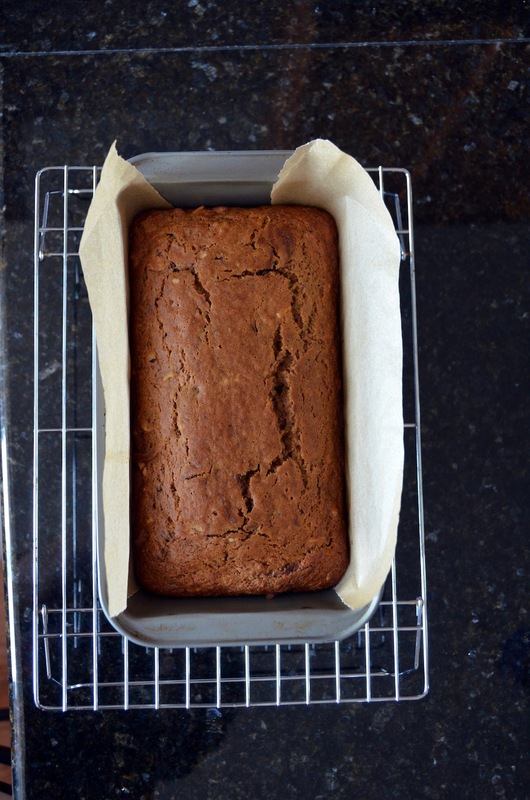 In honor of that, I’ve made myself a cake. . .bread. Okay, actually I’m having tea with a friend tomorrow and I wanted something moist and crumbly to take along, and that is why I baked. But I think this is good enough to count for both occasions! 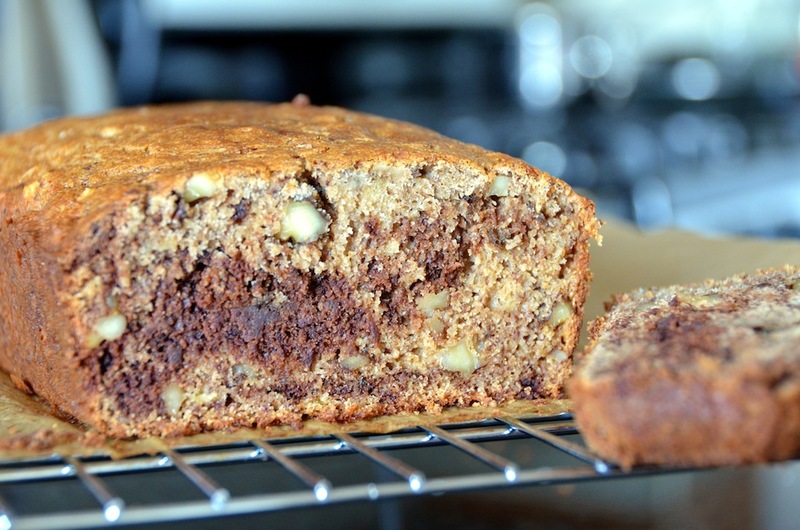 A rich, fragrant, nut-filled banana bread marbled with chocolate and spiced with cinnamon. Yum! 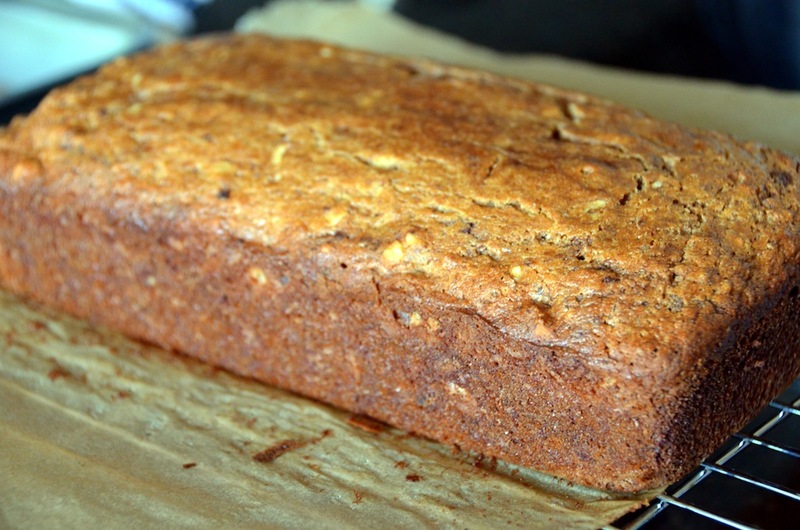 If you’ve been with me for a while now you may be saying, “wait a minute, don’t you already have a banana nut bread recipe?”. Why yes, yes I do, right here. But this one, if not a completely different animal, has enough differences to be a welcome addition, for me if no one else! This one is not only gluten-free, but dairy free as well (and with the migraines I’ve been having lately, I’m trying to be extra careful!). My next foray will be to add chunks of ginger, perhaps briefly poached in vanilla, to this recipe. For this version I did sorghum flour, tapioca starch, brown sugar, maple syrup, and walnuts; you will understand when you see the ingredient options below. A quick note on that: I hope the varied ingredient options I often offer aren’t confusing. I am attempting to a) make it possible for people, despite their geographic location, to find some version that uses ingredients available to them, and b) show you that cooking/baking isn’t a program set in stone. There are ratios of ingredients that absolutely matter, but if there is one thing my daddy taught me (besides the basics of making a killer steak) it was to be fearless about making recipes my own. Do my substitution experiments always work. . .no. But sometimes I stumble upon something my mouth finds truly outstanding, something I would never have found if I had stayed inside the recipe box. So, happy experimenting (or direction following); if you make changes or just make the original, send a note and share the goodness! Preheat oven to 350. 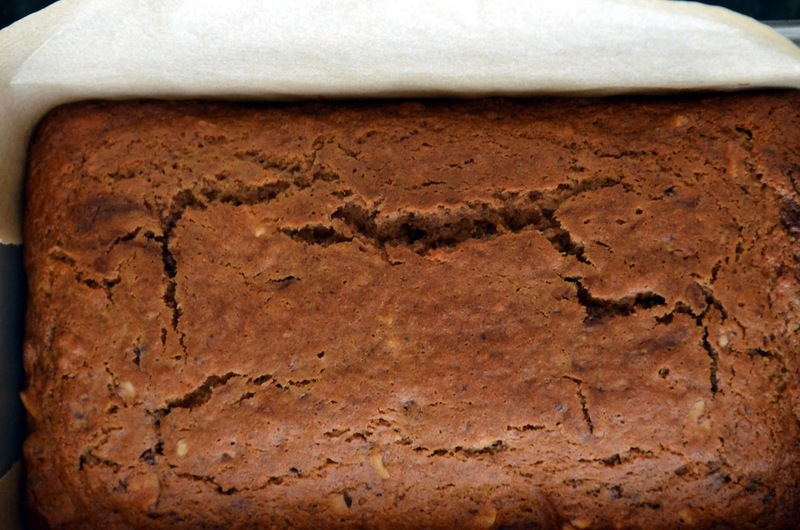 Line a loaf pan with parchment. 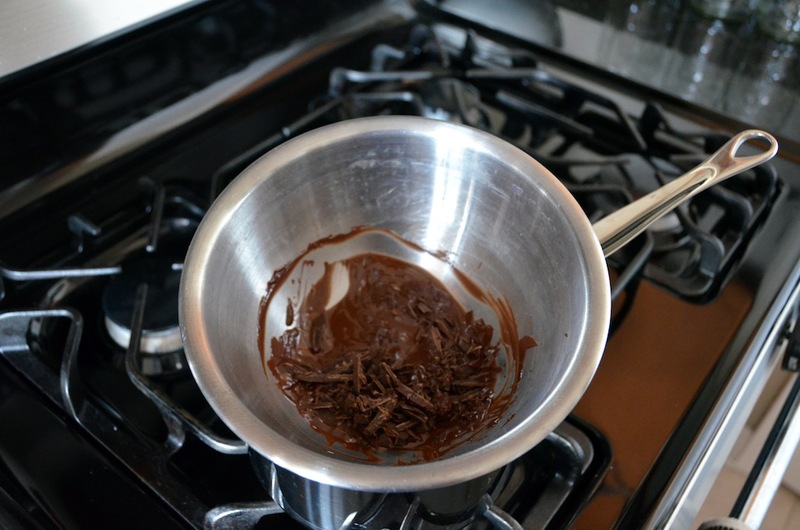 In bain-marie or metal bowl over pot of barely simmering water, melt chocolate until only small pieces remain solid. 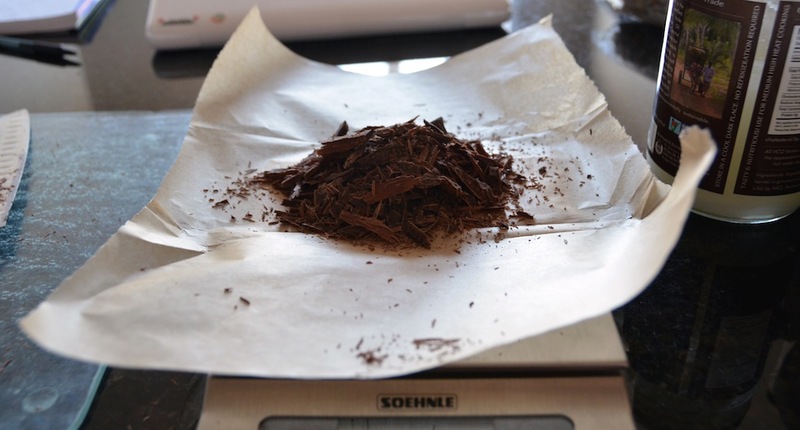 Remove bowl from heat, and stir chocolate until smooth. Set aside. Mix beaten eggs, banana mash, and oil. Add sugar and syrup, and combine. Mix in flour, starch, baking powder, soda, salt, cinnamon, and vanilla. Scoop 1/3 cup of batter and add to melted chocolate. Stir until thoroughly combined. In batter bowl add toasted nuts and fold to incorporate. Scrape chocolate mix into batter bowl and fold til evenly streaked but NOT combined. Pour into lined pan and place in oven. Check at 45 minutes with toothpick or cake tester (or, if you are a confident bread maker, do the thump test). If not done, tent with foil to prevent over-browning. Remove from oven and cool, on rack in pan, for 15 minutes. Lift from pan and finish cooling on rack. Savor. 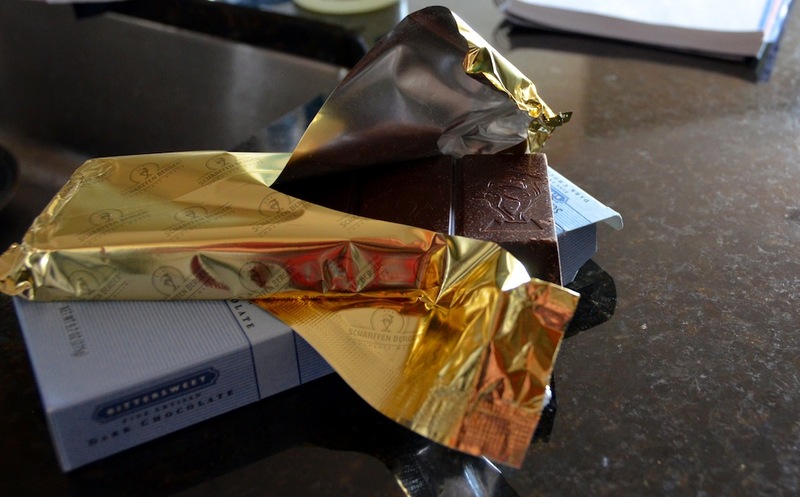 This entry was posted in breakfast, dairy-free, dessert, gluten-free, recipes and tagged breakfast, chocolate, dairy-free, dessert, food allergies, gluten-free, recipes on November 28, 2012 by Brandy. Looks absolutely delicious! I would so love to try some. I am sure it tastes great. Thanks! Let me know if you try it. I love to hear how other people make and change recipes :).